Cal Fire officials say crews are making progress containing the County Fire burning near Lake Berryessa, which was sparked by an improperly installed electric livestock fence. NAPA COUNTY, Calif. (KGO) -- Cal Fire officials say crews are making progress containing the County Fire burning near Lake Berryessa, which was sparked by an improperly installed electric livestock fence. The County Fire started in the community of Guinda on June 30, 2018 in the county of Yolo. 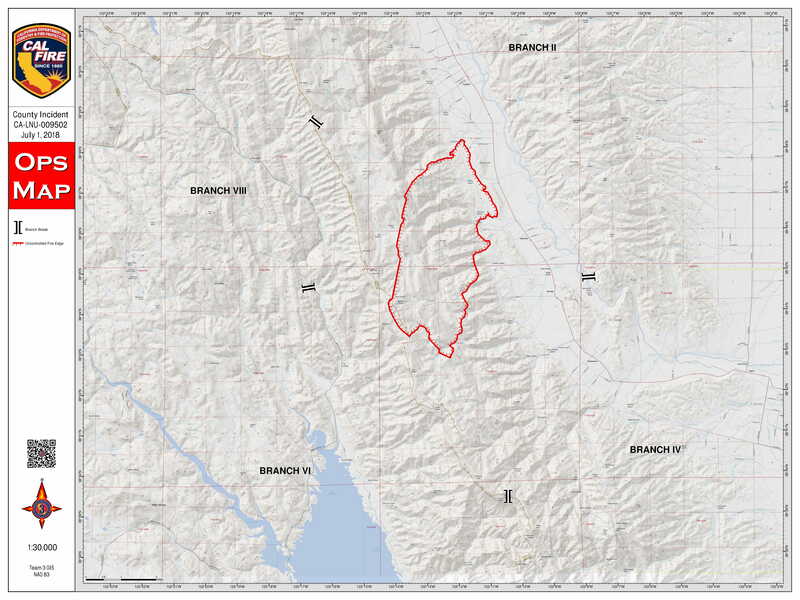 So far, this massive fire has scorched 90,288 acres and is now 89 percent contained. Cal Fire is urging residents to always follow proper installation and operation guidelines on your owner's manuals when installing and/or operating all equipment that can cause a wildland fire. On Wednesday, Cal Fire said all evacuation orders were lifted and that PG&E restored power to all areas affected by the blaze. Officials say progress continues to increase and firefighters are working aggressively to mop up and strengthen control lines. Over 2,000 people were initially told to evacuate as the County Fire continued to spread, said Anthony Brown, a spokesman with the California Department of Forestry and Fire Protection. Brown said the blaze started 12 days ago and is surging through rugged terrain northwest of Sacramento amid hot and dry weather. Cal Fire officials say their goal is to have full containment of this fire by Thursday, July 12, 2018, which is two days more than they originally predicted.